Once you get those two words in your head it’s hard to think of anything else. With my heart set on a Belgian linen silpcovered sofa nothing else would do. Now, normally I am an implusive shopper. I want to touch it, feel it and hold it up to my cheek. Nowhere in my little town offered such a Belgian beauty unless I ordered it. While doing some research I came across this article from remodelista . Saving and shopping for a sofa online. Not my cup of tea, but remember it’s a Belgian linen slipcovered sofa. I settled on the Ikea Karlstad sofa for it’s clean lines, size and let’s face it $399 price tag! 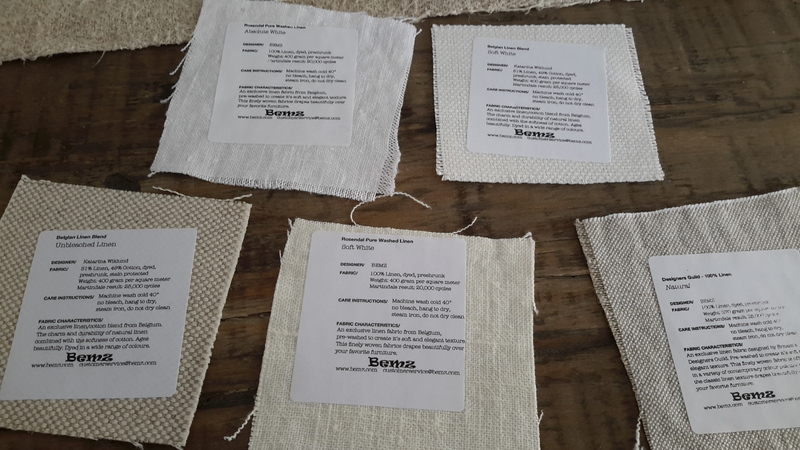 Next, I ordered swatches from Bemz, a company that makes slipcovers specifically for Ikea furniture. They offered 5 swatches for free including shipping and arrived in a timely manner. Now, remember I am an implusive shopper and it took for-evah for me to pull the trigger on purchasing the pair. Both companies stated a 4 week timeline for delivery. So, just barely in time for Thanksgiving I clicked “submit order”! The Ikea sofa came two weeks early (yay) and was quite simple to put together. The slipcover arrived shortly after the 4 weeks but they kept me informed with email updates. 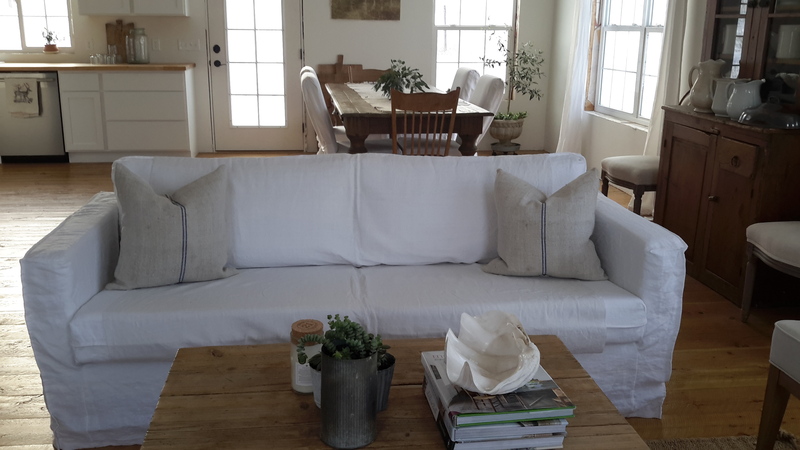 The slipcover I ordered was prewashed Belgian linen and it is a DREAM!! Exactly like the swatch only better! I touched it and cuddled it to a tactiles delight! There is no substitution for real linen. It has a look and feel like no other. It was hard to tell from the website exactly what it looked like on a real sofa. They showed the Urban loosefit as a drawing, but I am thrilled to say it is beautiful on. This is how it looked right out of the box and they reccomend that you spray it with lukewarm water to remove the wrinkles. The sides are the only place that needed it. I also love how it skims the floor, just right. 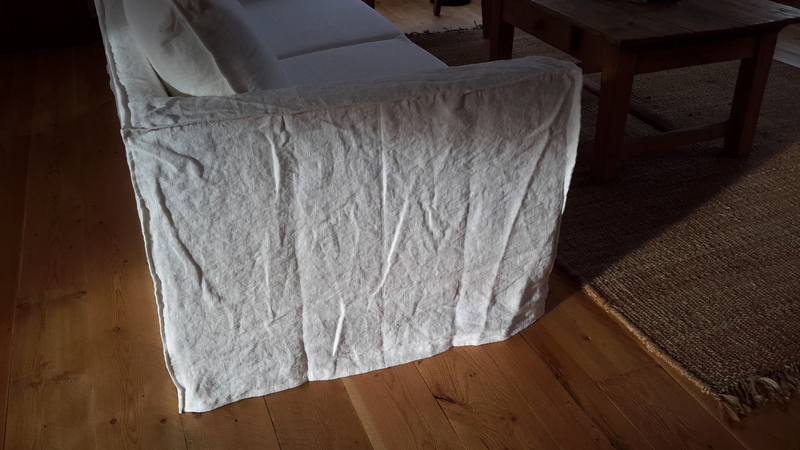 I decided to drape my French linen sheet over the back, at least until I get a console table. 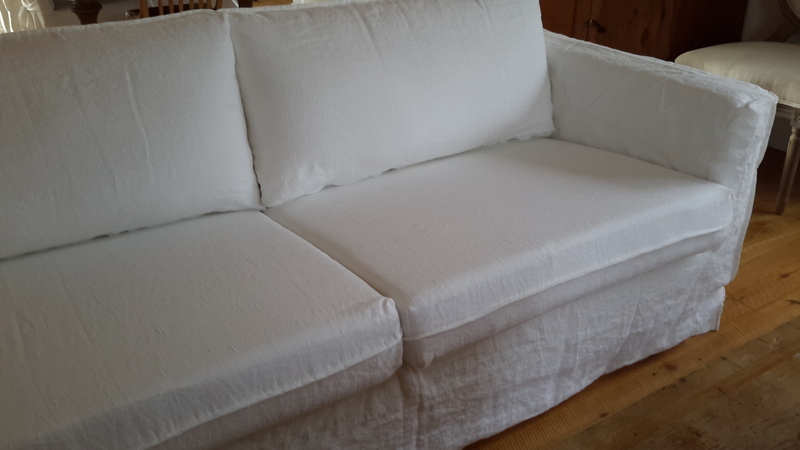 however this slipcover fit so well that I think it’s going to be easier than the last 2 surefit covers I’ve had. These pillows will have to do until I find or make the perfect ones (I’m thinking vintage indigo??). and I am glad I could be patient enough to get one at such a low price point! Hope all of your Holidays were exciting, relaxing and reflective on the real meaning of Christmas! Cindy, you are a marvel. I so love reading your blog updates. You are a creative and very interesting writer, also easy to follow. I LOVE your ideas and how effortlessly you bear your soul. You are easy for me to relate to. I save all your missives- waiting for the day I can put them into play. I guess I see myself in you and your style is akin to mine. You just put it into words and pictures for me. Thank you Cindy and please keep sharing. You are a real-life Innovator. You have no idea how deeply moved and thankful I am for your kind words! You are a true kindred spirit. It is so nice to hear from readers and to know that others share what I love! 1. Anyone can order slipcovers from the Bemz Company? 2. Does this slipcover have a name? 3. Do they have multiple styles to fit the Karlstad? 4. 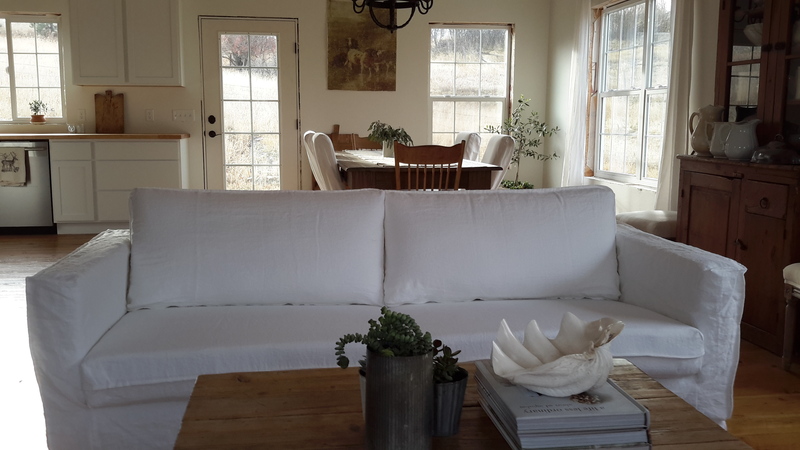 What was the price of slipcover (you said couch was $399 so is this an expensive addition? To answer your first question- yes, anyone can go to their website http://www.Benz.com and order. They have covers for almost all Ikea furniture including older models. The selection of fabrics is fabulous! 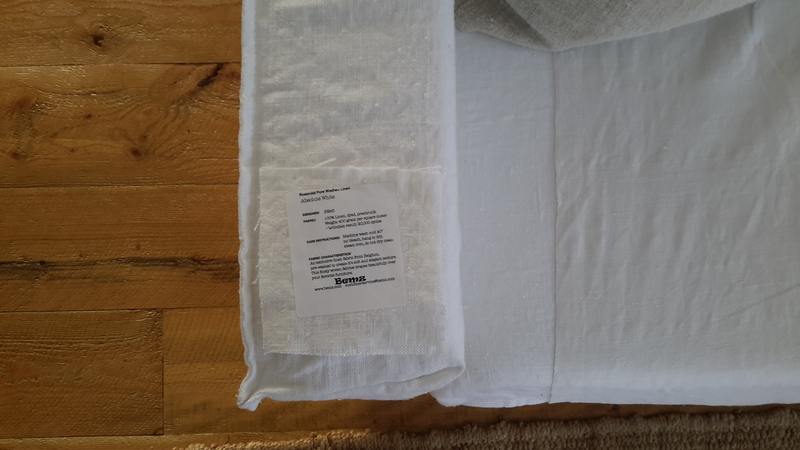 The Belgian linen was the most expensive at $719, however if you sign up for the emails you get a discount. They had a 20% off sale which brought the price down. The shipping was high at around $150 so basically paid over $700. Combined with the sofa I still paid a low price for high quality! 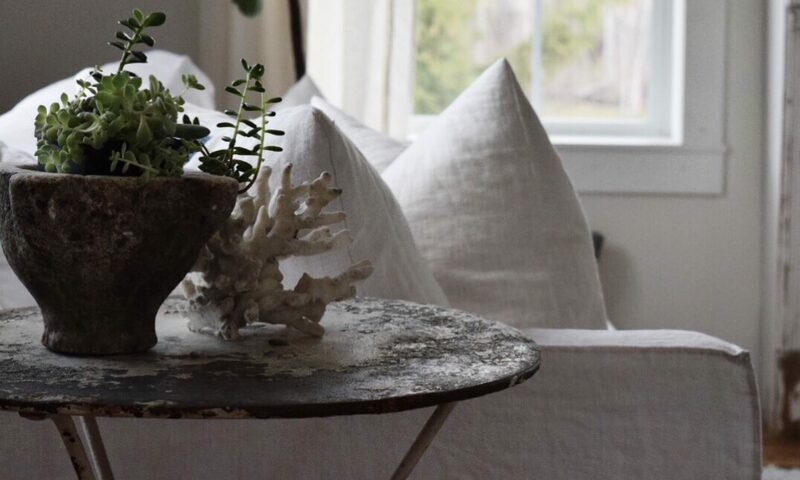 Love, love, love linen slipcovers. I have a chair covered in a white/neutral like yours. To make it last longer between washings I spray it with ForceField fabric protector. It allows me to go 4-5 months between washings. I just blot up spills, including pasta sauce. Not bad with 2 kids, a dog and a hubby. Beautiful! I will be so anxious to hear how those IKEA sofas hold up. I have been tempted a few times where there are budget constraints. I don’t know why I haven’t been reading your blog! Love your instagram posts!! 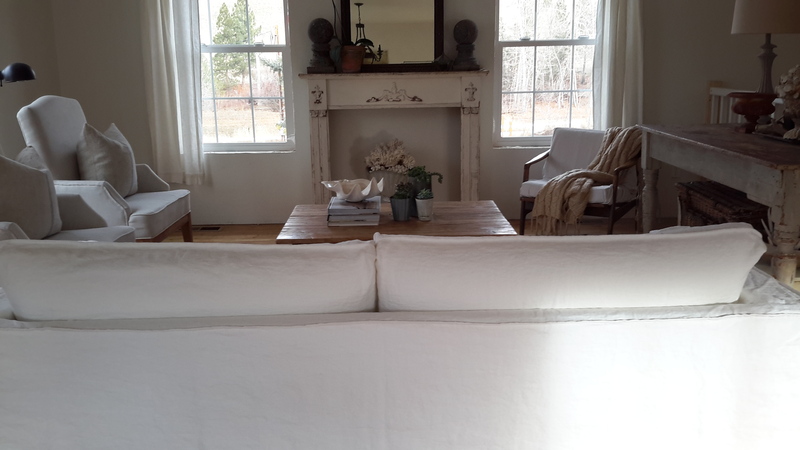 Hello, I love your cozy French modern country home, the sofa in linen looks amazing and something I have wanted to do for years with my sofa, is to change out for the 3 time now with a new Linen slip. Right now I have mattlasse slip and talking about a waiting period I chose from the company of my sofa fabric that had to come over on the boat from Europe and it was 4 months wait form arrival and sewing time. Now I want a relaxed linen for it. 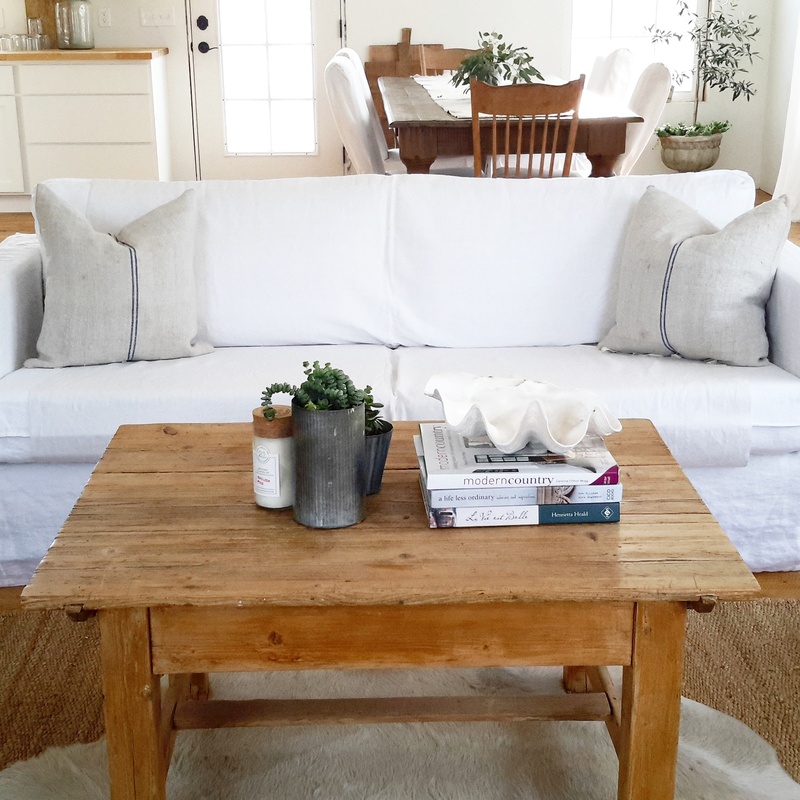 Rough Luxe has posted about her plans for indigo pillows and fabric use for her room. Vintage ones look amazing with whites. It looks like everything here is coming together in all things French country. As for the grain sack pillows, I love them on your new sofa and slip. 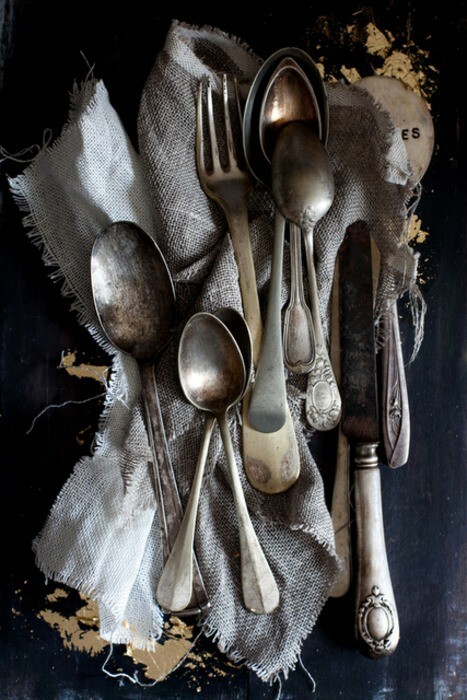 See you soon where you will find all things French washed in aged whites. Ps. Congrats on the new sweet beautiful addition to your family. It’s wonderful to be a grandma is it not? Thank you for such kind words! Congratulations on your shoot for Prairie Style! So far I have not washed it 🙂 placing an extra linen sheet over it has kept it pretty clean, also to be fair we watch tv downstairs in the family room and it doesn’t get heavy use. Let me know how it goes! Thank you for sharing your obviously good experience with ordering with a company that makes slipcovers for Ikea furniture. I had ordered from Comfort Works and the fabric was TOTALLY un washable and shrunk considerably to where I was in able to use any of the three different slip covers I purchased . IT WAS A DISASTER! 😕I’ve purchased slip covers from other companies and have been able to wash them with out any problems like severe shrinkage like Comfort Works product. For this reason I’m extremely reluctant to purchase from another company . 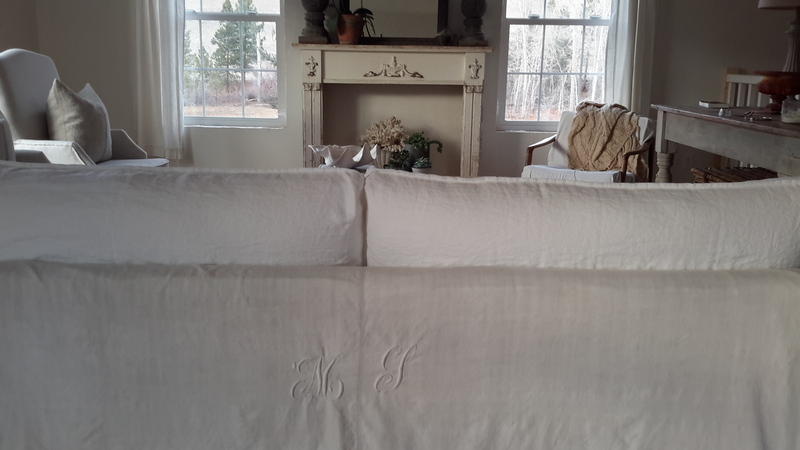 From what you’ve shown in your description with pictures have you had much luck with being able to wash your linens slipcover without severe shrinkage ?